Doulas of Prince George’s County co-owner, Emily Smith, had the recent opportunity to interview the director of the midwifery program, Billie Hamilton-Powell CNM, and tour the in-hospital birthing center in Cheverly, Maryland, a quick 10 minutes from Southeast, Washington DC. “We at the Prince George’s Hospital believe the birth of a child is one of life’s most important experiences. With few exceptions, pregnancy and childbirth are normal and healthy events. We encourage participation of your family and friends. We want the them to join you and us to welcome your newborn into the world. Childbirth is more than a physical experience, it’s an emotional and spiritual one as well. We are your health care team. It is our responsibility to provide you with information about the birth center, its safety, and how to satisfy your individual and family needs during pregnancy and birth in a manner that ensures confidentiality. The Birth Center offers you an alternative to the traditional hospital labor and delivery care. The design of our facility includes a home-like relaxed setting for childbirth. Yet we provide all the necessary birth, postpartum, and newborn services you may require. The Birth center has been designed specifically for healthy women who can anticipate a healthy pregnancy and childbirth. Our center has all the equipment, medications, and supplies necessary for normal childbirth. Should anything about your pregnancy or birth indicate a need for delivery in a labor and delivery setting, we are prepare to transfer you in under three minutes. Your medical and obstetrical history is essentially normal. Your current pregnancy is proceeding normally. You accept the added responsibilities of birth center participation. You plan to have an un-medicated birth experience and have prepared for it. You agree to a hospital length stay of 24-48 hours. If you desire discharge before 24 hours, you will need to make prior arrangements with your private pediatrician for the examination, discharge and follow-up care for the baby. Active participation in your prenatal care. Completion of childbirth education classes if you are a first time mother. Involvement of your family and significant other(s) in your pregnancy and childbirth to insure mutual support. Provision of additional helper(s) you may need at the birth and during the first week after delivery. Provision of complete and accurate information about your pregnancy whenever requested, with the understanding that our clinical management and recommendation for your health care are based on this information and your medical history. Preparation for childbirth without major anesthetics. Discussion with your family and nurse-midwife, or physician regarding your expectations of the childbirth experience. Consultation with a pediatrician to work out plans for your newborn’s pediatric care. Receive discharge instructions before going home by the nurse, midwife or doctor. To be professionally qualified, legally licensed, and insured to attend births. To be fully aware of the current medical status of the mother and to confirm the normalcy of the pregnancy. To develop a good rapport and trust with the family. To show sensitivity to the special needs and individual circumstances of the family. To keep you and the family informed about the progress of the pregnancy and labor. To involve you/family in all decision-making. To provide for continuity of care throughout labor and delivery and to be prepared for a smooth transfer to the labor and delivery unit if indicated. To provide for physician consultation and involvement when indicated. To maintain patient confidentiality and dignity. Great! Now that you’re familiar with the general birth center fact sheet, we’ll share some photos and more fun details about what you, your family members, or your doula clients, could experience if you choose to give birth at UM Prince George’s Hospital Natural Birth Center. You will have intermittent monitoring, aka intermittent auscultation, while in the Birth Center, which is when the care provider listens to the fetal heart rate for short periods of time at regular intervals. This can be done in any laboring position, even under water. Plenty of room in the shower to use a birth ball, peanut ball, or receive support from your partner or doula. The use of water during labor is shown to reduce pain, shorten length of labor, and relaxes the body so that people report a more positive experience. After your baby is born they will stay in bed with you for skin-to-skin in the Golden Hour. Skin-to-skin is shown to help ease baby’s transition, regulates their breathing and heart rate, keeps them warmer, enhances bonding, releases hormones in mother to help deliver the placenta, decreases postpartum depression, improves breastfeeding rates, and babies cry less, too! This seated massage chair is just one of many helpful tools that the hospital has for a more active, comfortable birth experience. The midwives encourage you and your support people to be as comfortable as possible! Eating and drinking during labor, a practice which is evidence-based for low risk women, is encouraged at the Birth Center. The director of the midwifery program told Doulas of PG County that VBAC (vaginal birth after cesarean) patients are welcomed to the birth center on a case-by-case basis, with OB consultation, and are always welcome in the Labor and Delivery wing. Older moms are welcome into the birth center, too, as there is no Advanced Maternal Age restriction. They welcome late transfers to deliver at the Birth Center from other practices/ hospitals as long as they have had prenatal care and fit the other guidelines. 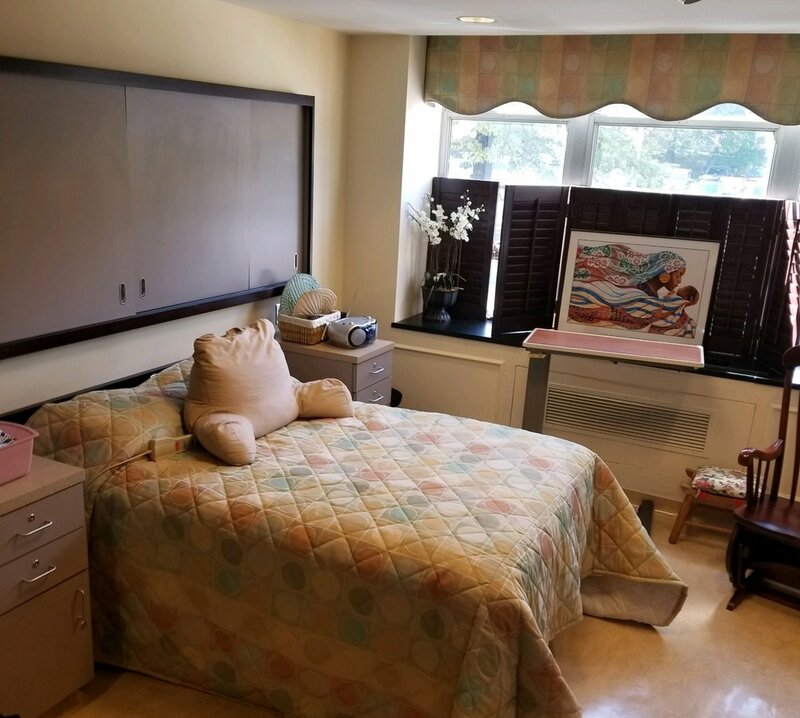 Ms. Hamiltion-Powell also shared that patients who plan to deliver at the Birth Center can almost always expect to be admitted into one of their two birthing suites with tubs, as they are rarely both occupied at the same time. We think that she won’t be saying that for long after more people learn of this amazing, local option for hospital-based natural birth! Just down the hall from the birthing suites are the light and spacious labor and delivery rooms. Expecting families are also welcome to tour the traditional labor and delivery rooms and can receive care from either the Certified Nurse-Midwives or the OBGYNs. The nursing staff is supportive of both unmedicated birth and the use of pain medication, such as epidural. If mothers or babies need a cesarean birth the collaboration of the hospital staff is there to care for them*. 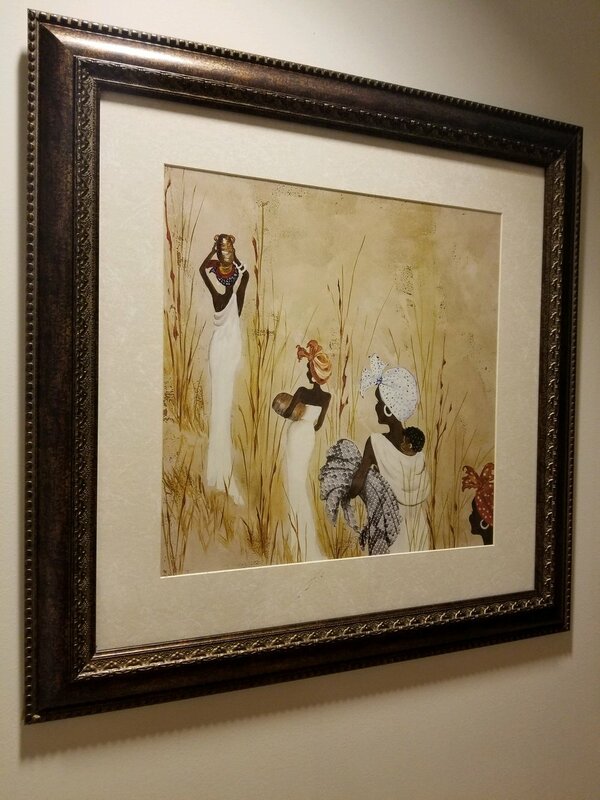 If you are looking for a great collaborative care practice of OBGYN and CNMs in a hospital setting in the DC metro area Doulas of PG County would be happy to support you here, or at any other birthing facility of your choice! *University of Maryland Prince George’s hospital declined to report to the Leapfrog Survey 2018 on maternal health outcomes such as cesarean rates, etc.